Many promising ambitious musical projects flare all-too-briefly into life, only to be abandoned, either through lack of finance or simply by the artists facing other more pressing obligations. How marvellous, then, that Finding Home, the new collaboration by singer Georgia Mancio and pianist Kate Williams – with a string quartet plus double bass and drums – is very much alive, and will soon be recorded. Fellow LJN contributor Lauren Bush enthused about the project when it was launched at Pizza Express Jazz Club in Dean Street as part of Georgia’s Hang residency, and I’ve long enthused about performances by Kate with her strings project Four Plus Three. Thanks to the enterprising organisation Birmingham Jazz, the Finding Home project was given a new airing as part of the Celebrating Women In Jazz Festival, held over the last two weekends at the 1000 Trades venue in the city’s Jewellery Quarter. And Finding Home really is a wonderful creation. Georgia has one of the most appealing voices on the international scene, in my view. Her delivery is mellow, never over-stated, and yet her vocal expression effortlessly conveys so much emotion. The songs she has written with pianist Alan Broadbent are hugely appealing, and Kate’s arrangements for strings-and-rhythm have such depth and power. It’s a sumptuous sound, rich in texture, and with a strong undercurrent of rhythmic drive. Much of the repertoire – due to be recorded in September – is extraordinarily moving, including The Last Goodbye, a Mancio-Broadbent composition dedicated to Georgia’s late father, and The Last Boy, another original by the singer and pianist, inspired by an Afghan teenager Georgia met while doing voluntary work at ‘The Jungle’ refugee camp in France, with dark cello tones underpinning the theme. Other highlights included two Antonio Carlos Jobim works, No More Blues and Someone To Light Up My Life. An instrumental arrangement by Kate of Bill Evans’ B minor Waltz was quite superb, and included an excellent solo by bassist Dave Whitford. 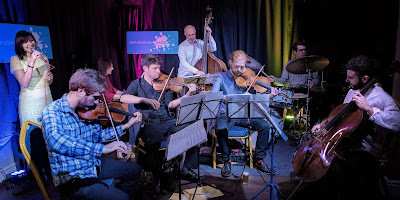 The bowed strings – violinists John Garner and Julian Fish, viola player Francis Gallagher and cellist Sergio Serra – produced a compelling sound in the small venue. The project’s drummer, David Ingamells, also performed earlier in the evening in the trio of Scots-born tenor saxophonist Helena Kay, along with the excellent bassist Callum Gourlay. 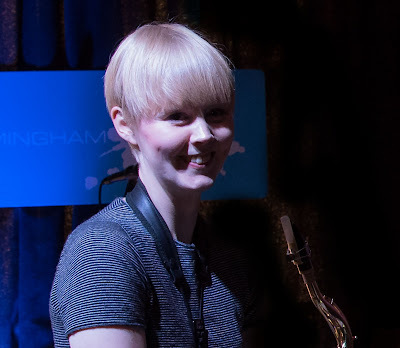 Helena, Scotland’s Young Jazz Musician Of The Year in 2015, opened with two of her originals, the boppish Strawberry Towers and a smoothly snaking Double Seven, before springing an extraordinary surprise: an original arrangment of Charlie Parker’s classic solo on Kim, from the alto genius’s Verve recordings. This was indeed a virtuoso venture for Helena, who had shaped Parker’s opening phrases into a melody she returned to twice in the arrangement, and which she performed quite perfectly as a duet with Ingamells. Her mellow sound was appealing, too, on the standard song she chose to close the set, Falling In Love With Love. The Celebrating Women In Jazz Festival certainly produced much excellent music, yet despite the event being well promoted the audience turnout proved generally disappointing. I know that, individually, the artists featured over the two weekends usually attract far greater numbers of fans. 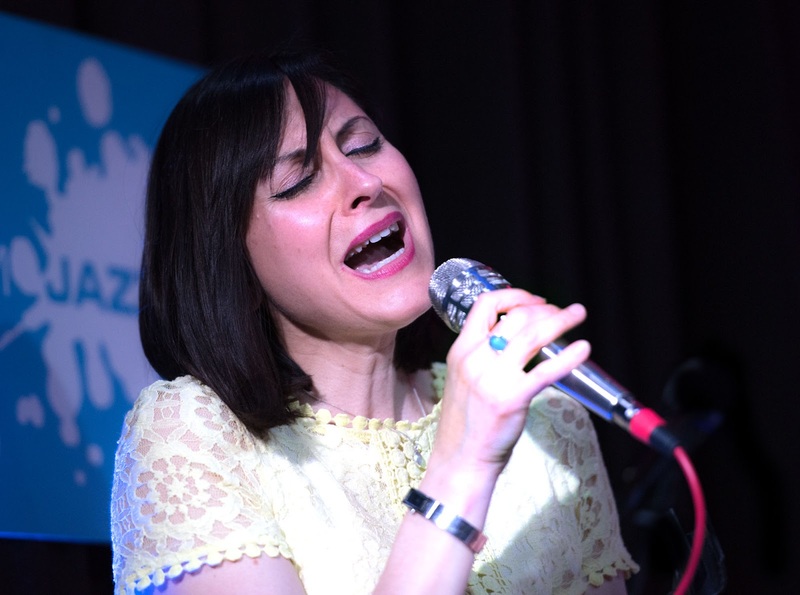 And why, at least outside London, are there still so few women in jazz audiences – especially young women? The jazz world still seems to be missing out on half its potential customers. I wish that there would have been at least several more women in the Finding Home string quartet or rhythm section. Too many times, the women that are featured are either singers or pianists, whilst there are quite a few good, if not excellent, female instrumentalists.